Oh yeah. I’m going there. Let me start by expressing how much I love Amiibo. Nintendo’s series of pseudo-toys-to-life has captured my heart and bound it in a prison of poverty and preorder anxiety. The small figures are perfect collectibles and easy to display on a shelf, but each one still sports incredible detail. I have over a hundred of these things, and I will most likely keep buying them as long as Nintendo sells them. I didn’t always love the colorful figures though. When they were first announced I was incredibly skeptical, even as a Skylanders fan. “What good are these figures if they just unlock a CPU character in Smash Bros.?” I pondered, still in an innocent state free of the collector’s mindset. I bought a Samus figure for posterity, and never touched the toys again. One thing that remains disappointing to me is the character poses for the Smash series. Instead of choosing a pose for each character that could best be conveyed in figure form, the Amiibo designers (if such a job title exists) were railroaded into recreating the official poses from Smash 4. This restriction bothered me quite a bit and led to some figures appearing much lower quality than they should have (looking at you, Link). The upcoming Smash Ultimate has a chance to remedy that. Sure, we are getting Amiibo for Ridley, the Inkling (again, for some reason), and probably the new “echo fighters”. What I want are fresh poses for every fighter in the roster. 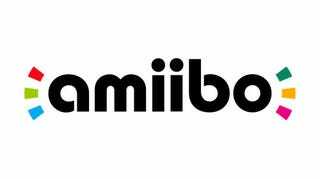 There is an opportunity to unleash the untapped creativity in the Smash Amiibo series, with fan apprehension and manufacturing feasibility being the only hurdles to clear. Admittedly, those are very large hurdles, but a man can dream. Make it happen Nintendo. Ignore the majority of your fans and all forms of common sense. Give me more of those sweet, sweet Smash Amiibo.